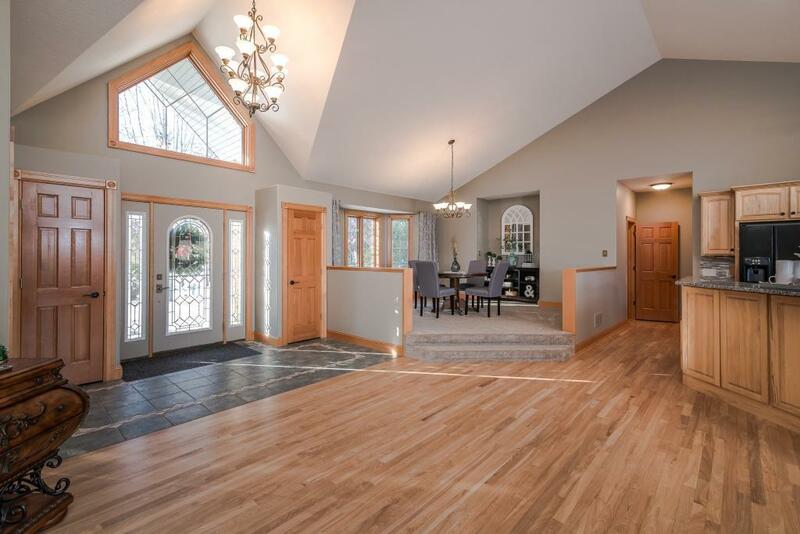 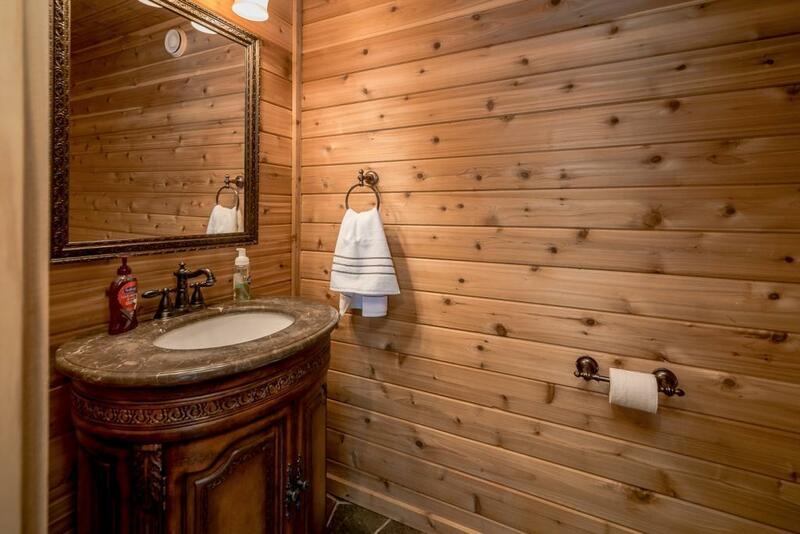 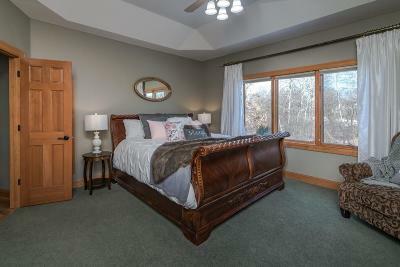 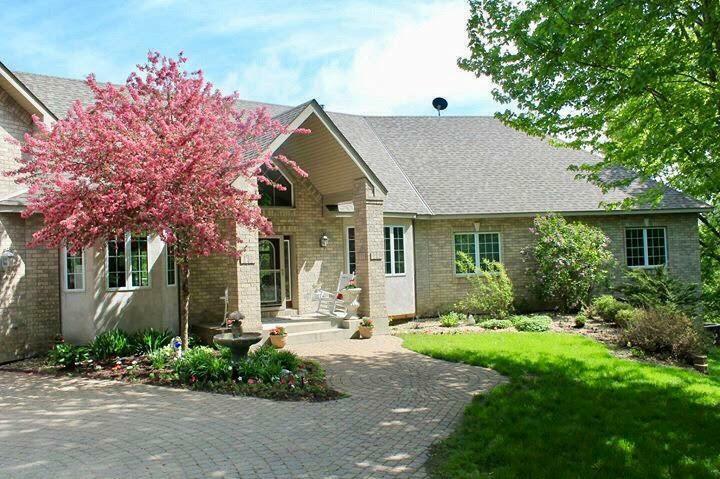 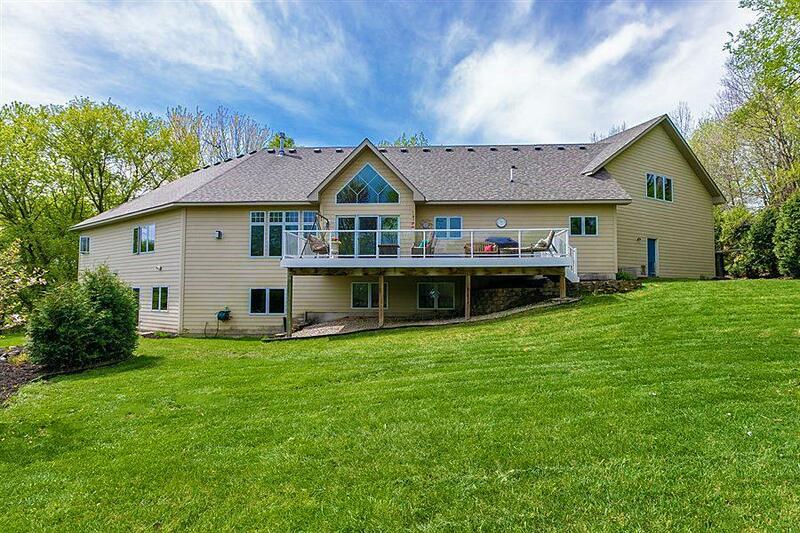 Rare luxury rambler on 5+ private acres of woods-pond-wildlife yet minutes to shopping. 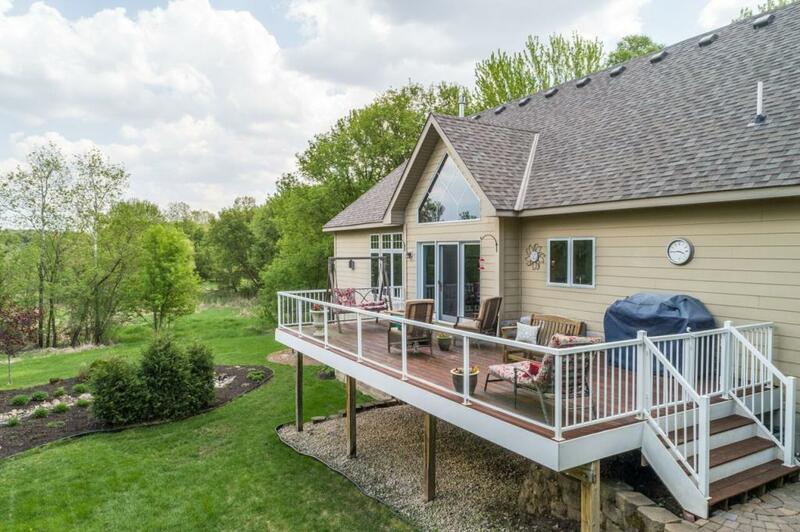 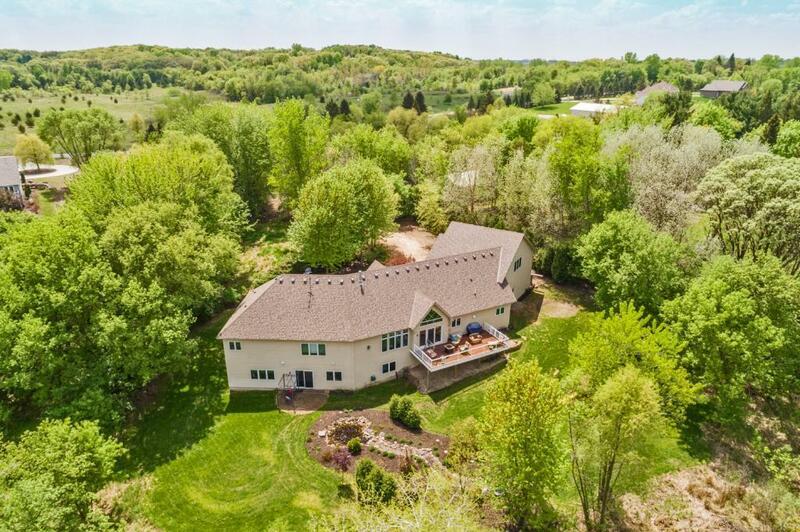 Stunning 2700 sf open-concept main level w/double-vaulted ceiling, 11 ft stone kitchen island, huge w/i pantry, 2FP 3BD 3BA including lush master suite w/views + luxury bath. 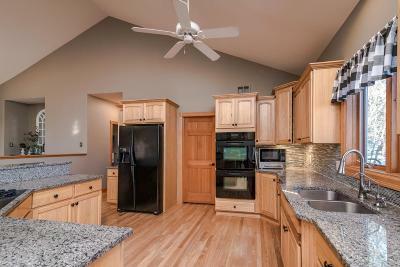 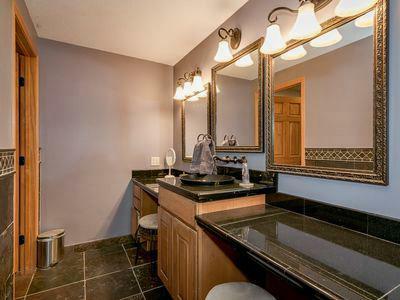 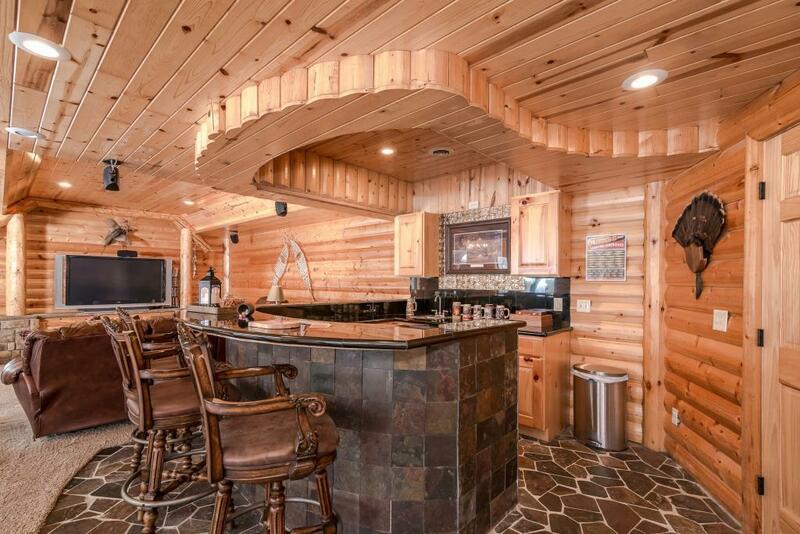 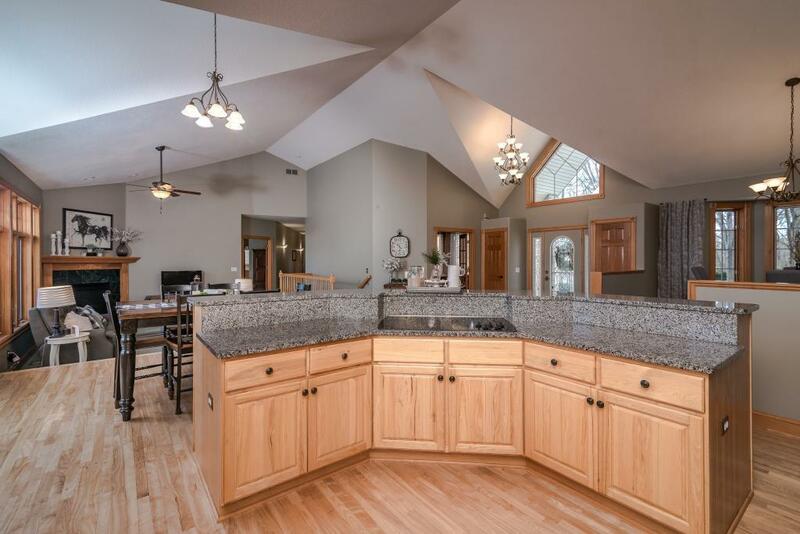 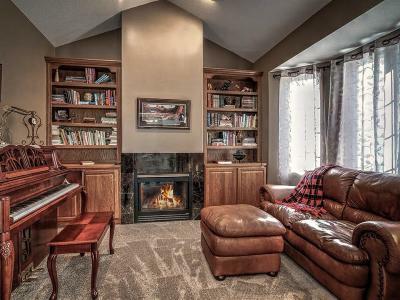 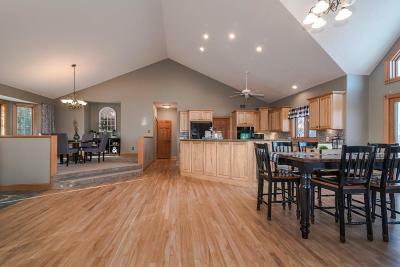 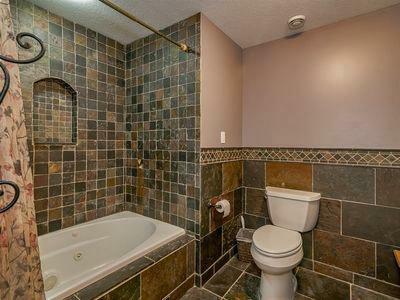 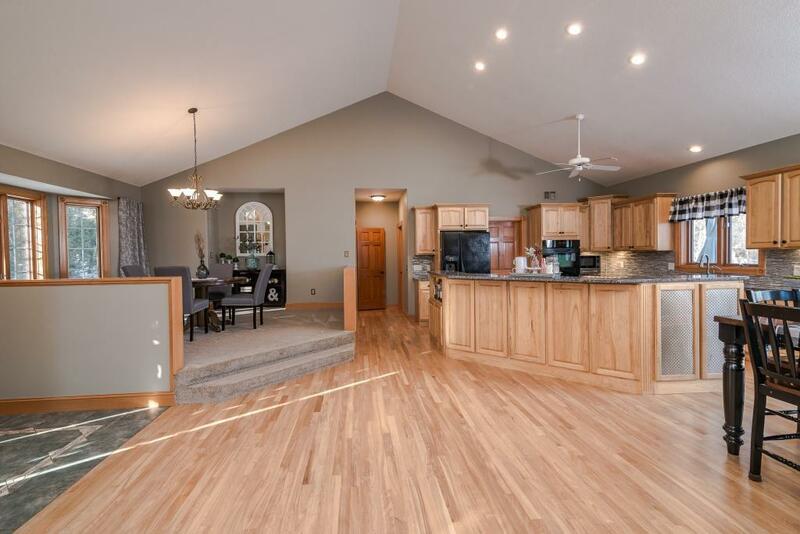 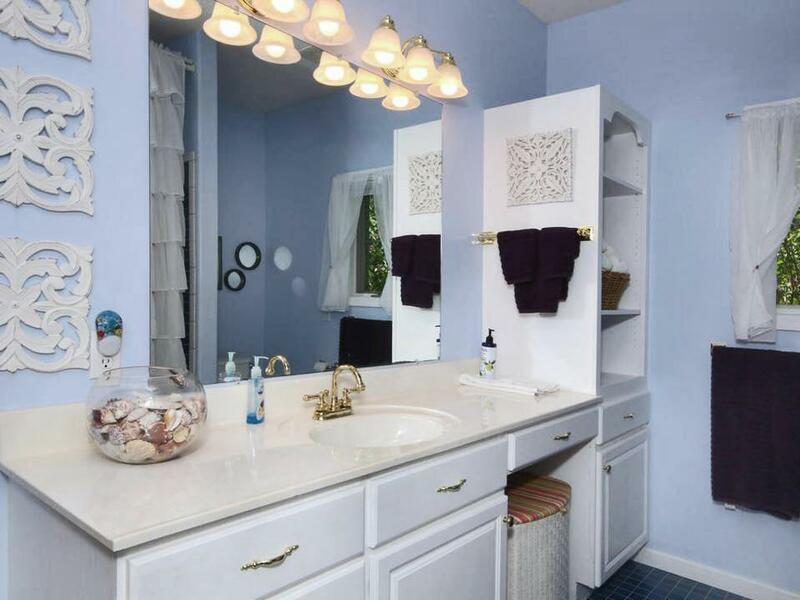 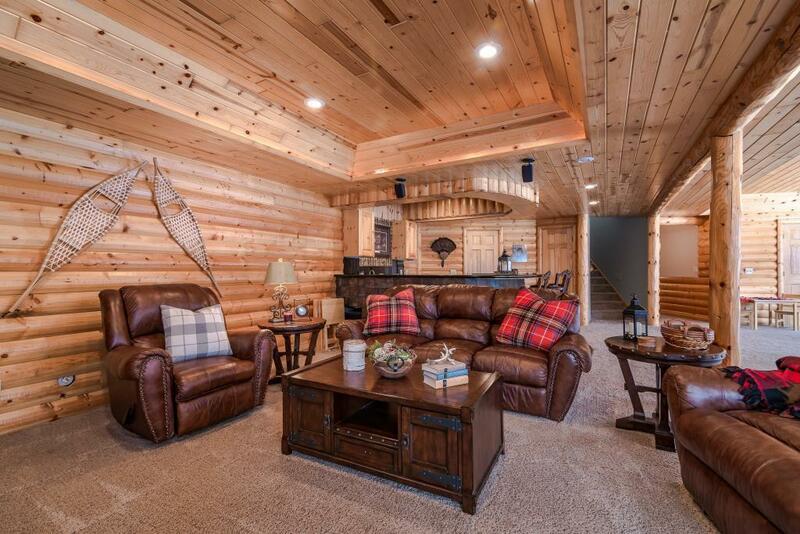 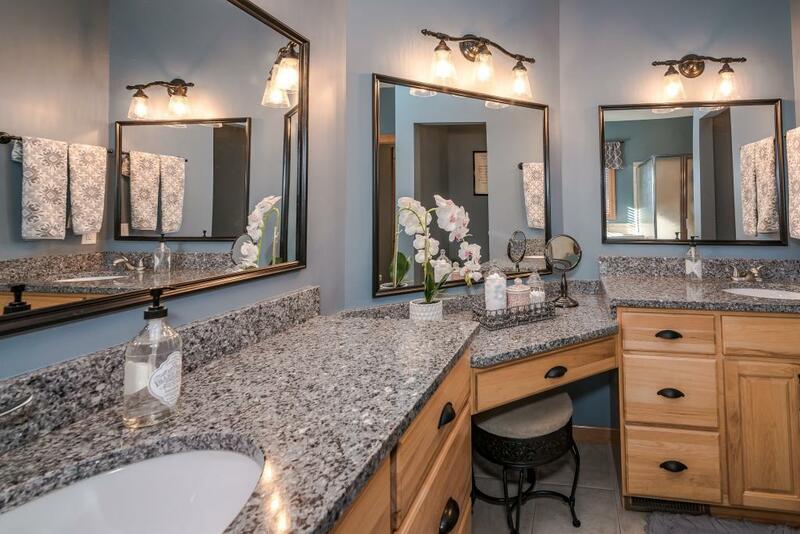 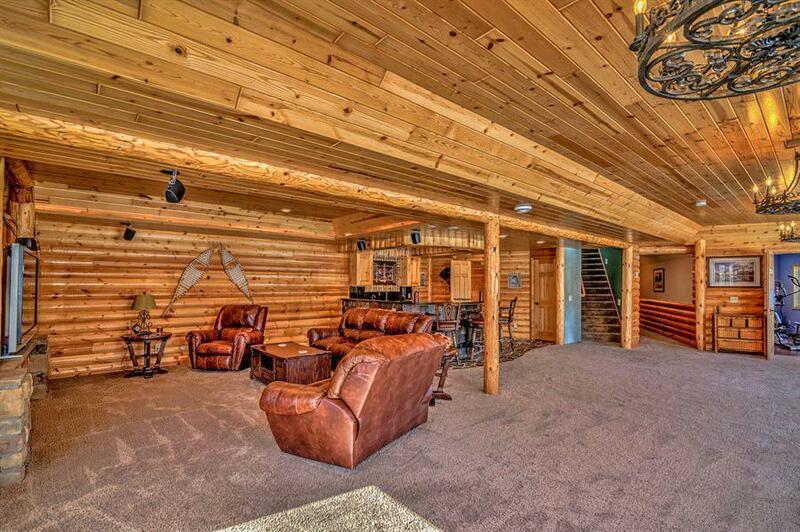 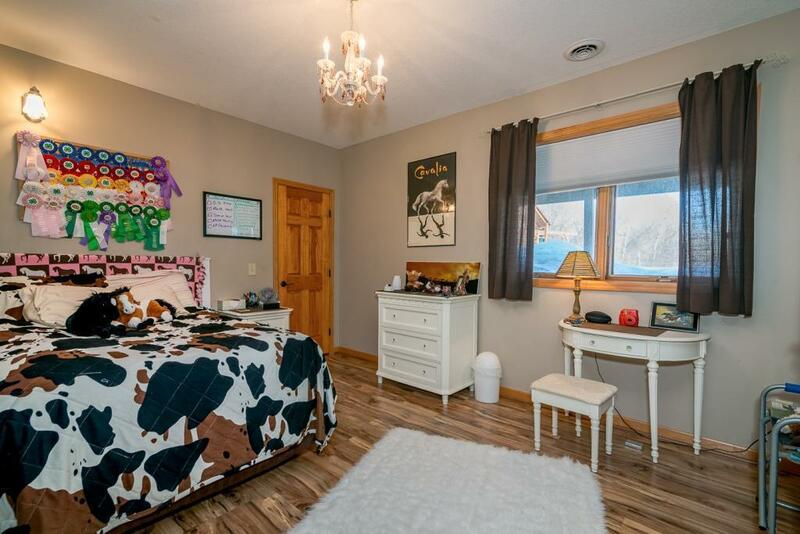 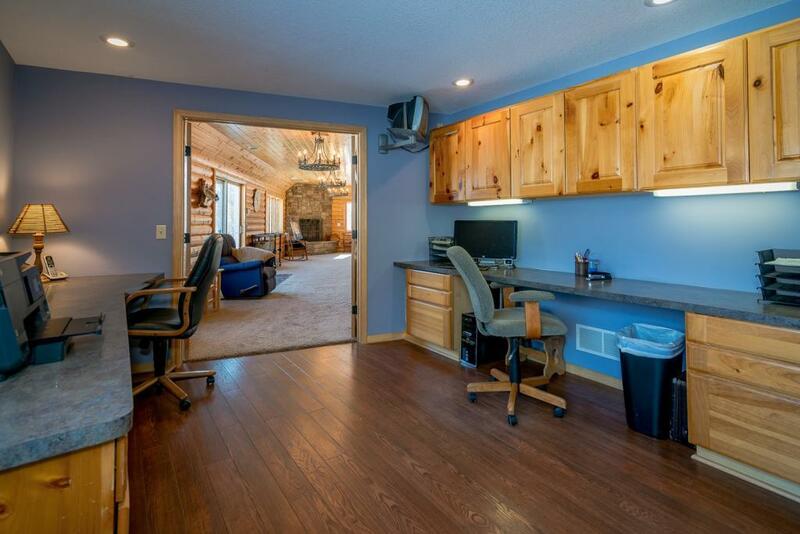 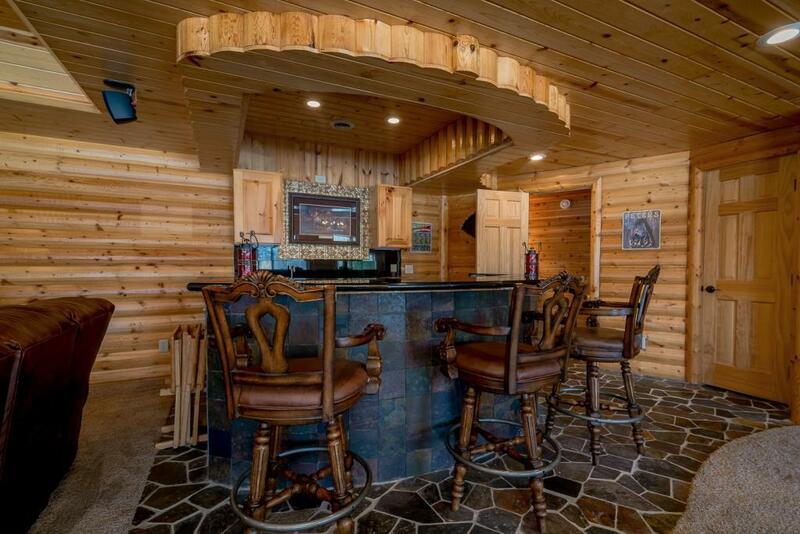 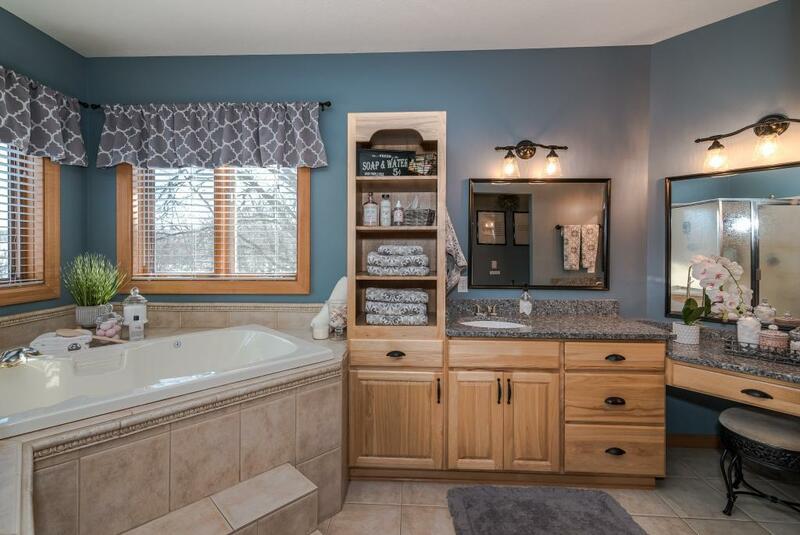 Lodge-inspired walkout w/wet bar, stone FP, 2BD 2BA, office & infloor heat = cozy! 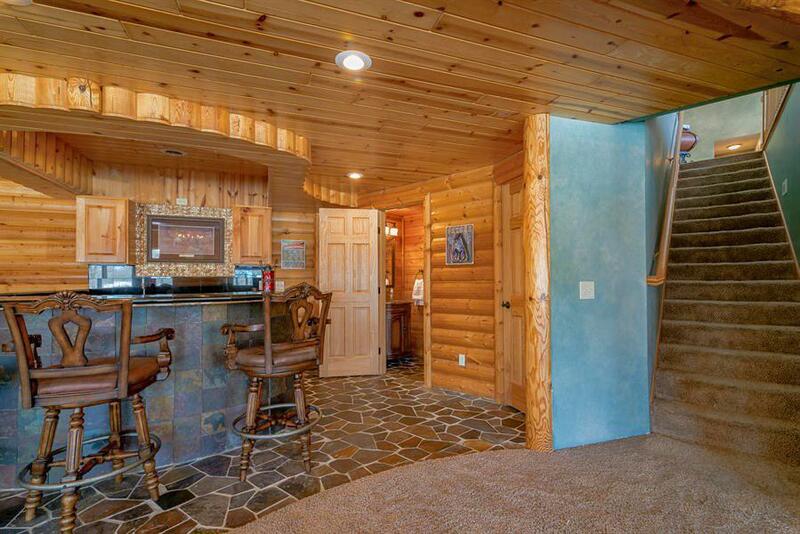 Vaulted bonus room perfect canvas for office/studio/man cave. Backyard waterfall/stream retreat w/perennial gardens. 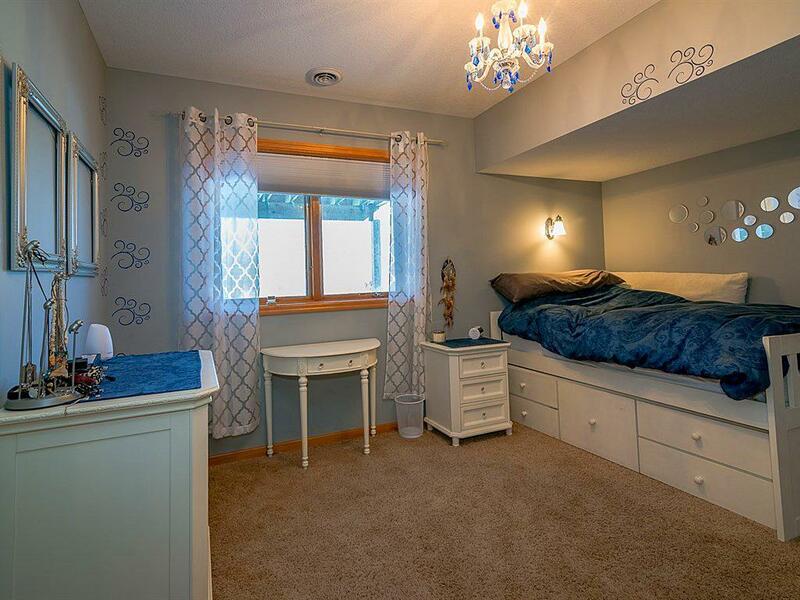 Secret rooms + other delights abound!